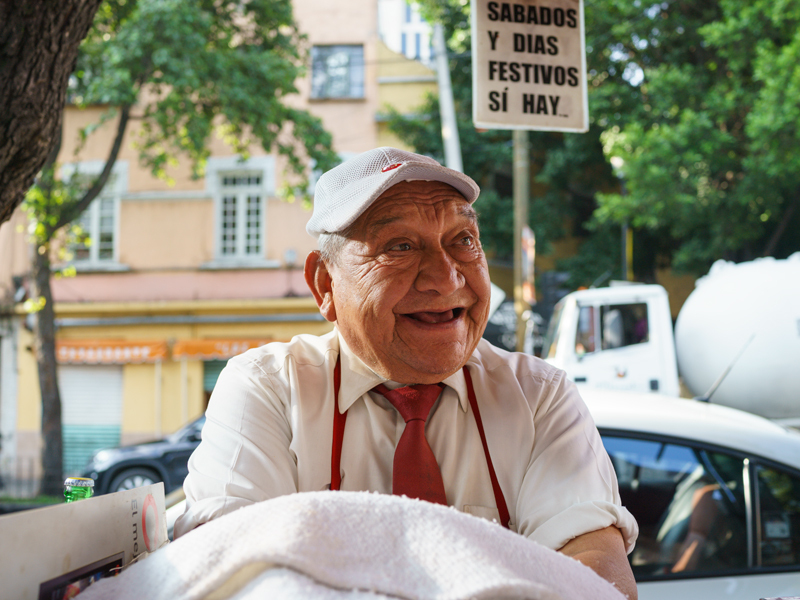 The Robles family has sold tortas in downtown Mexico City for over 70 years, earning generations of devoted customers. But this year could be its last. Their story begins in 1940s Mexico City, at the intersection of Doctor Mora and Juárez Avenue, the southwestern corner of the Alameda Central. Diego Rivera immortalized the famous park, the first of its kind in Mexico City, in a 1947 mural, imagining over 100 seminal figures from Mexican history strolling through the grounds. 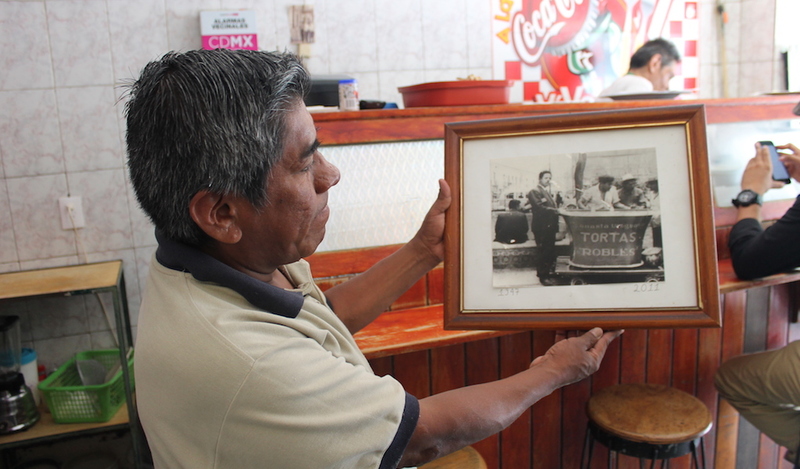 On a sunny summer morning at Tortas Robles in Centro Histórico, Guadalupe Robles points to a photograph from that same year, 1947. 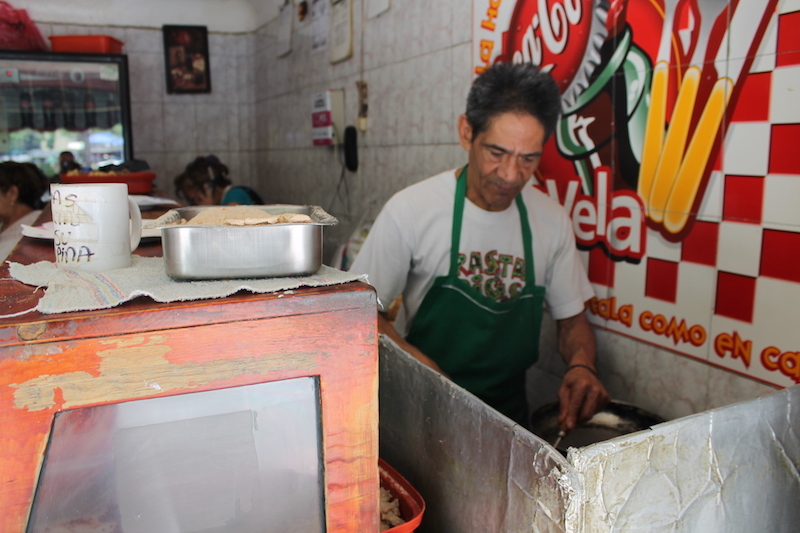 The photo captures her father, Alejandro Robles, leaning over the cart from which he sold tortas. “That’s him, in the beret,” she says fondly. Alejandro Robles was born in the northern state of Sonora and arrived in Mexico City as a young man. He married Lorena Martínez, and the pair went into the torta business in the mid-1940s. 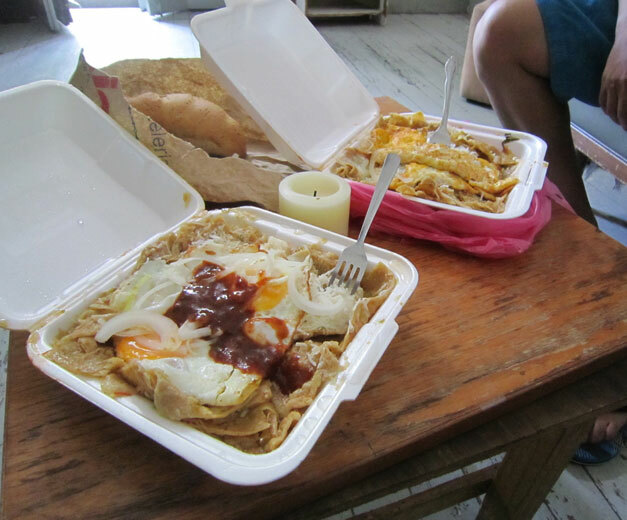 Lorena prepared the tortas at home for Alejandro to hawk at the busy corner of Doctor Mora and Juárez Avenue. In those days, they sold tortas made with a bolillo (a savory roll) filled with either milanesa (breaded and fried beef) or chorizo and egg. Robles developed a following and was eventually offered a nearby storefront, on Basilio Badillo. Alejandro died in 1979, but his wife and children kept the business going. In 1993, they opened the current storefront at Cristóbal Colón 1 in the Art Deco-style Trevi building, just steps from where Alejandro sold his first tortas in the 1940s. The menu is simple: tortas and tacos dorados, lightly fried tacos. 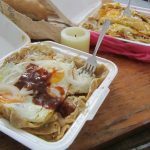 The tortas can be prepared with chorizo, ham, pierna (pork leg) or milanesa and topped with egg or cheese (stringy Oaxacan or American). 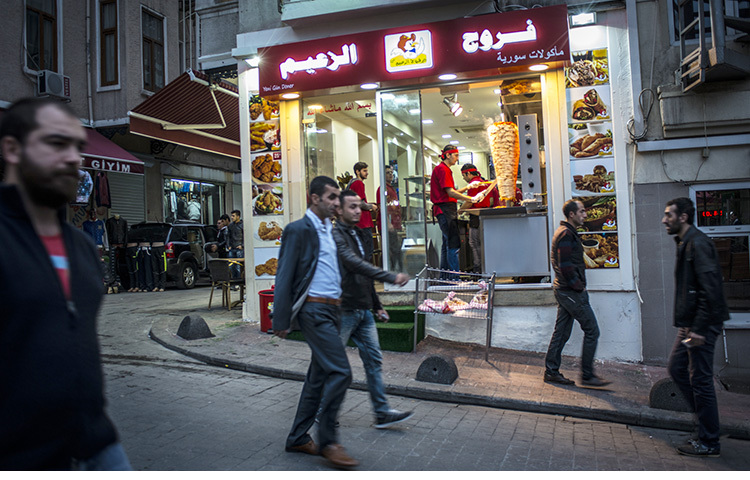 Compared to many street stands, the flavors of the meat stand out, not the greasy bun. 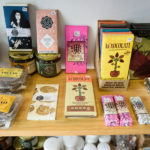 The prices are affordable, ranging between 26 and 38 pesos. 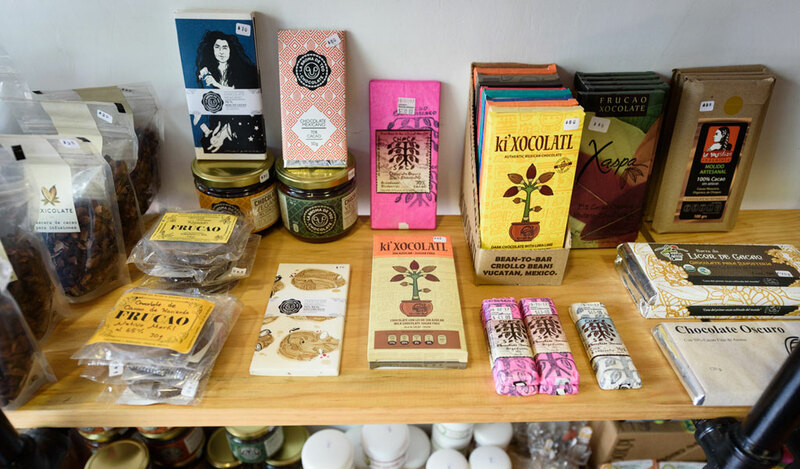 Finding a tasty, cheap meal in downtown Mexico City is getting harder these days; chain restaurants and upscale joints targeting tourists have proliferated. 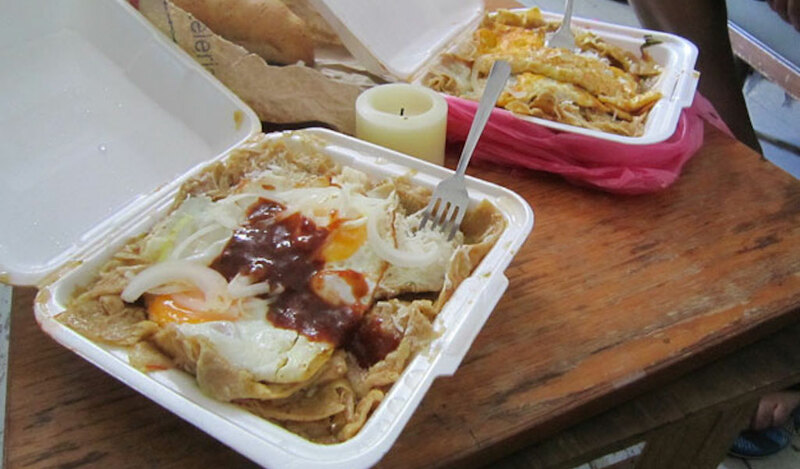 The quick preparation, but filling ingredients make the torta a perfect meal to consume in downtown Mexico City, where most people are on the go. If there isn’t a line, you can be in and out the door in fifteen minutes. “My father said he sold sandwiches for the pueblo,” the common people, says Guadalupe. Guadalupe says some people tell her she should raise her prices. 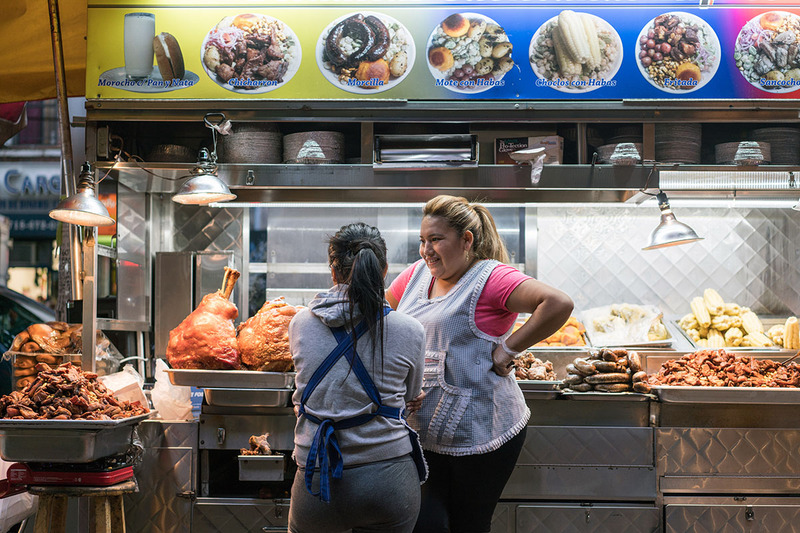 She refuses, saying she prefers to know that her customers can afford a torta, no matter what. The price of avocado has soared in recent years, but she says she will never skimp on it. For a simple meal, the tortas do pack a punch. The soft bun is cut open, filled with bean paste, a few slices of avocado and meat hot off the griddle. “My father said he sold sandwiches for the pueblo,” the common people, says Guadalupe. Alejandro Robles prided himself on treating all his customers with respect. 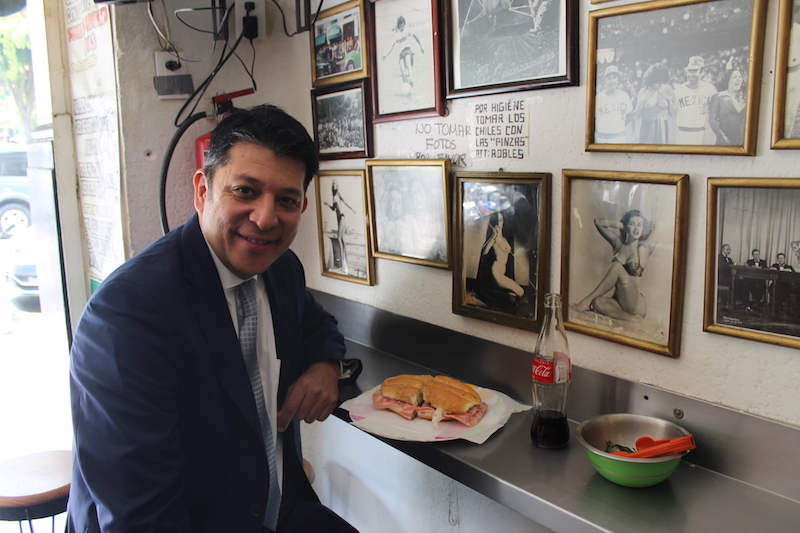 But that doesn’t mean he didn’t have customers in high places – Guadalupe says that president Luis Echeverría, who was in power from 1970-76, would send a car down to the restaurant to bring back a basket of tortas for his children. The Mexican Revolution had ended just a decade before he began selling tortas, and Porfirio Díaz’s dictatorship was still within memory. She explained that in those early days, ham was an expensive ingredient, and Alejandro only sold tortas that would be affordable to the working classes that frequented the neighborhood. He made this intention clear with his famous slogan, “‘Robles doesn’t sell ham tortas!’ he would say, ‘Down with Porfirio and long live the Revolution!’” she remembers, laughing. Alejandro also befriended members of the press, whose office buildings were near the torta shop. The historic La Prensa newspaper is located on Basilio Badillo, where the original storefront stood. Guadalupe explains that every year on the day of the Presidential Address, comparable to the State of the Union in the U.S., her father served a free meal to reporters and photographers. On the crowded wall of photos in the shop, she points at one of dozens of journalists, from 1963. It’s just 11:30 a.m., an hour and a half after opening, but the tiny storefront is already crowded. A line starts to form outside, with customers patiently waiting to put in their orders. Nonetheless, Guadalupe laments that they don’t sell as many tortas as they used to. “In the eighties, we would go through 1,200 to 1,500 buns in a day,” she says. But like many downtown businesses, they took a hit with the 1985 earthquake. He says they used to stop by to eat tortas for lunch when they worked at the Alameda. He asks after Guadalupe’s brother, who has since passed away. While the family business feels timeless, Tortas Robles can’t escape the changes happening around it. After the 1985 earthquake, the government neglected the Historic Center. Then in 2000, mayor Andrés Manuel López Obrador began an ambitious redevelopment initiative. He worked with Carlos Slim, Mexico’s richest businessman, to restore historic buildings in Centro. Major streets were turned into pedestrian corridors, and chain restaurants and stores moved in. In many ways, the initiative worked; today Centro has overcome its previous reputation as a dangerous neighborhood. Yet the cost of real estate has soared, leaving many long-term residents and business owners at risk for eviction. 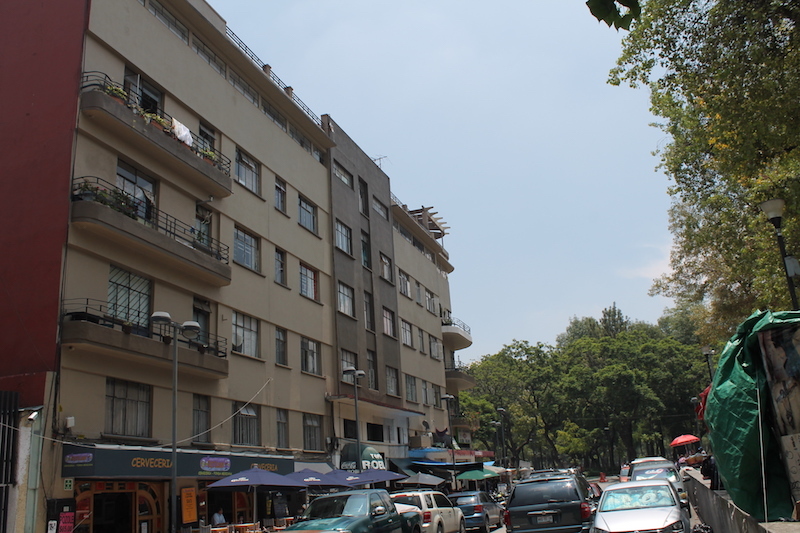 Tortas Robles may soon be a victim to the re-development of Centro Histórico; the Trevi building was sold earlier this year, and the tenants were given eviction notices. The Trevi building, which houses Tortas Robles along with the historic Cafetería Trevi and dozens of apartments in the upper floors, was sold to a developer who plans to open a hotel. The eminent eviction led neighbors to organize and form the Neighborhood Observatory 06000, named for Centro’s zip code. In addition to defending the Trevi building, the Neighborhood Observatory is monitoring other buildings at risk for eviction in Centro. The architect of Centro’s redevelopment, López Obrador, overwhelmingly won a recent presidential election and will enter office on December 1, while Claudia Sheinbaum, one of his close associates, won the race to be Mexico City’s next mayor. While both have promised to implement policies that look out for the less advantaged, displacement in the Centro Histórico has already been set into motion. Guadalupe says Tortas Robles will come to an end if they are evicted from the Trevi building. The going-rate to rent storefronts in the neighborhood is inconceivable with her modest budget. Alejandro Robles’ mission to make “tortas for the people” might not fit in the new iteration of Centro Histórico. Editor’s note: To support Tortas Robles and their fight to stay in the Trevi building, we are teaming up with neighborhood activists to buy tortas “for all” who come in between 1 and 2 p.m. on Wednesday, September 5. If you come for a free torta, all we ask is that you take a picture and share it on social media with one of these hashtags – #tortasparatodos, #tortasforall, #salvarobles, #saverobles – to raise awareness of the eminent eviction of Tortas Robles and other tenants from the Trevi building.